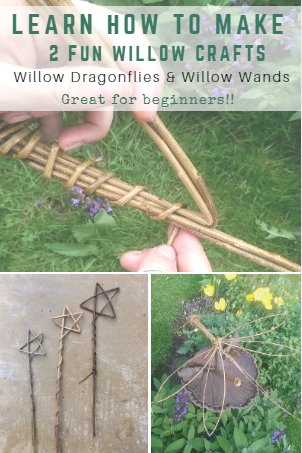 Summer is a time when we love to get outside and create lots of fun willow crafts. 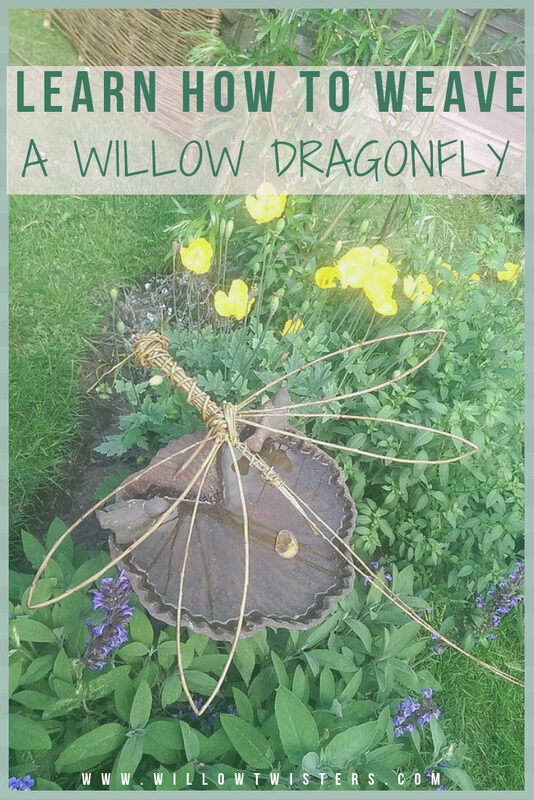 One willow craft that has been most popular with children and adults has been our willow dragonflies. We first started making these back in the summer of 2009 when we were asked to run a creative workshop for the public, at the city of London festival. 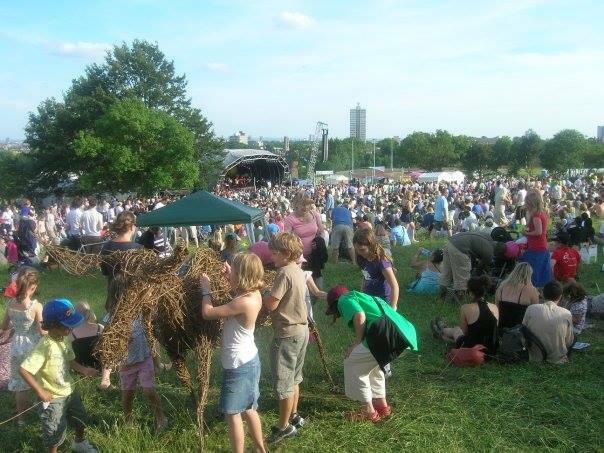 Before you begin this craft DOWNLOAD our willow craft e-book below for info on how to source and prepare your willow + more ! when you join our mailing list ! Now some people like to use the corn dolly method to make their dragonflies but we use our own unique technique demonstrated by Hanna in the video link at the bottom of this article. As with anything, the more you practice at this craft the better you will get ! So why not soak a bit more willow than the recommended amount so you have enough spare rods to make a few more! If it’s your first attempt at working with willow then don’t worry so much about it looking perfect the first time round, we all get better with practice ! 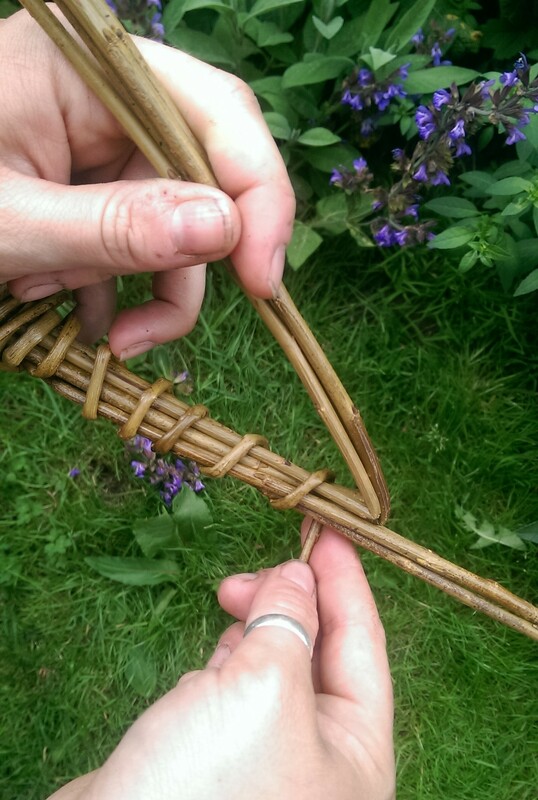 Practicing these types of crafts regularly is a great way of learning how the willow responds to manipulation. You will learn and feel how strong and flexible it is after it is has been soaked. 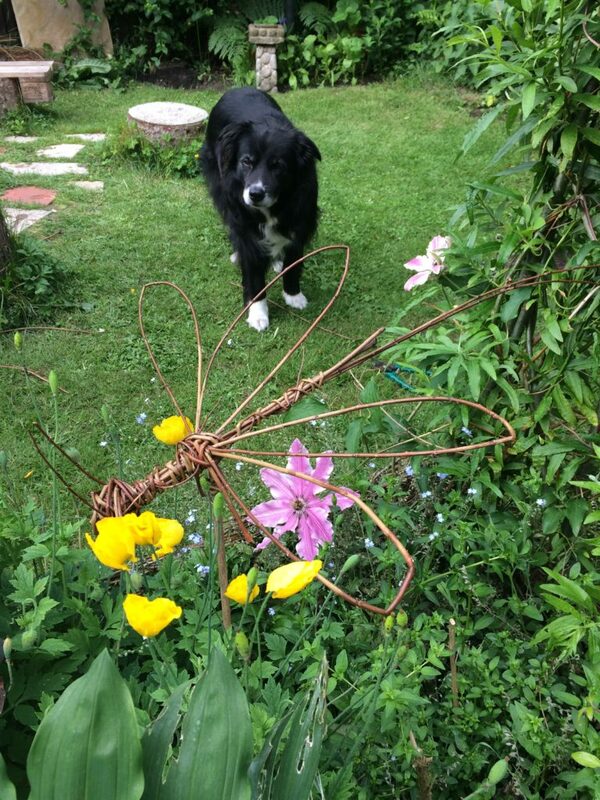 Our dog Sam certainly seems to be quite interested in the new addition to his garden… now its your turn ! Let us know how you get on with your dragonfly and if you have any questions please feel free to ask in the comments box below.